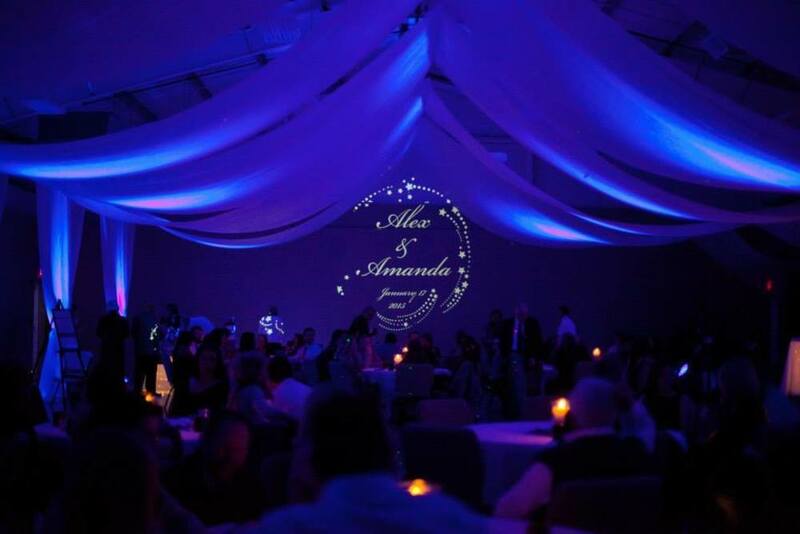 You can have your names and wedding date displayed in light for only $98 with our gobo projector rental. Rent a projector here: Projector Rental. We can display any JPEG or PNG file you send in with your initials, names, monogram or logo. If you prefer, you can choose from one of our templates. Uplighting looks great with your wedding monogram gobo too. If you want to add some uplighting our Wedding Lighting Package is a great deal. If you want to add more up lights to the package, you can just add more ala carte for $17 each.